During her fifteen-plus years in the mental health field, Cecelia Stalnaker-Cauwenberghs, LMHC, has met her share of people who feel lost, sad or abandoned. As a licensed mental health counselor and current Director of Program Services at the Youth Crisis Center (YCC), she says those feelings can often be indicators of suicidal thoughts. DD had just turned 18 when he arrived, afraid and alone. With his father incarcerated and his mother addicted to drugs, he’d been left with abusive grandparents, only to later be placed in roughly 30 foster or group homes. DD described himself as “anti-social” and “not having any friends”. YCC’s mental health evaluations indicated he struggled with PTSD, anxiety, depression and low self-esteem. These all contributed to a worrisome combination for Stalnaker-Cauwenberghs and her colleagues. At Touchstone Village, each resident has their own fully furnished efficiency-sized apartment and receives life skills, career development training, academic monitoring and support, and mental health services, if needed. The goal is to assist residents in developing skills necessary for self-sufficiency. Upon entering Touchstone Village, DD remained reserved and cautious, isolating himself in his apartment. Stalnaker-Cauwenberghs and the team worked with him on both his life skills and social skills. They encouraged him to interact with other residents by playing air hockey, watching TV together and helping the group cook in the kitchen. DD began to show improvement with hygiene, keeping his room clean and increasing his social interactions. As his anxiety level decreased, he took college classes and held a part-time job. No one had ever taken DD for a professional haircut; so, as a reward, he got his hair styled. Stalnaker-Cauwenberghs says that was a big turning point in his self-confidence. The Answer to the Question is YES! Since coming to Touchstone Village, DD has been promoted to a shift leader role at his job, has a girlfriend, opened his first checking account, and now laughs and jokes with other residents. On his re-assessment questionnaire, DD answered “YES” that he did know someone he could call in the middle of the night. He responded that he is now part of a family that cares about each other. “He has a vision of himself as a successful adult,” boasts Stalnaker-Cauwenberghs. “It’s exciting to see him full of happiness and confidence.” Stalnaker-Cauwenberghs says knowing that DD has not just one person he can call, but a group of people he considers family makes her job fulfilling. 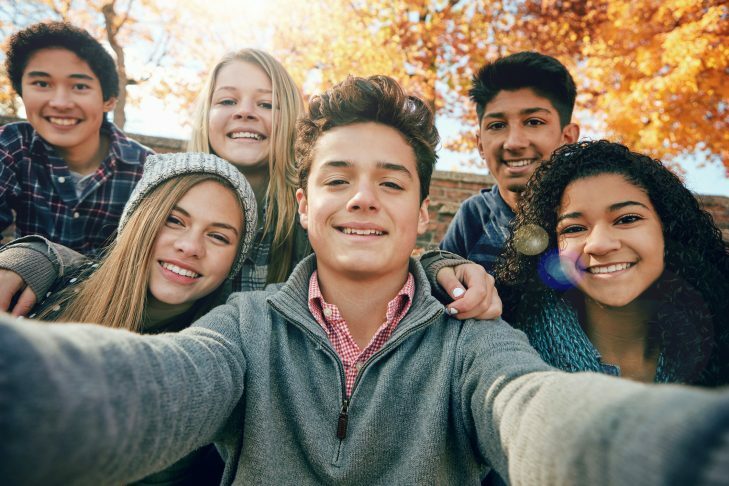 If you know a young adult between the ages of 18-21 who is struggling to become self-reliant and independent, YCC can provide transitional living services through its Touchstone Village program. 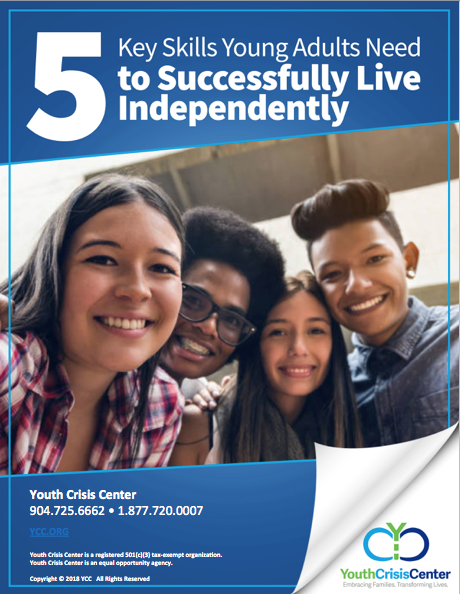 Click to learn more about Touchstone Village and the 5 Key Skills Young Adults Need to Successfully Live Independently.